kandeej.com: You can buy some Kandee for Christmas!!! you see, I get tons of requests for me to sell shirts, pictures, all kinds of things....and I've got a solution....I opened a little store on cafepress.com, I don't make all the money but they give me a few dollars for each thing that's on there...you order from them, they ship it...it's awesome! And I designed my little store and all the stuff myself! I'm going to have more things up soon, so check back and get your Christmas-Kandee shopping on! hee hee hee... I didn't do this to make money....I just did this for everyone that asked if I would sell things with "kandee" on them...I had fun designing this stuff...I hope you like it! Whoop whoop! I can't WAIT to start shopping!!! 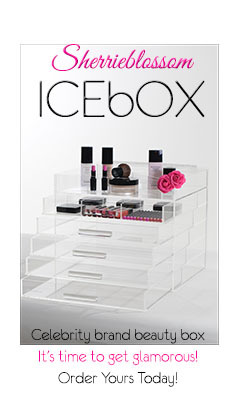 I looove that idea, you're fabulous Kandee!! :) I hope you had an amazing day, I know I did! My boyfriend MADE my week with a wonderful picture he made for me on my myspace!! I'm in SUCH a good mood and to see that you have a cafepress shop now is just even more wonderful!! Thanks girl!!! Can't wait to see it! what a great idea!! thank you :) I'm going to take a look RIGHT NOW! With how popular New Moon is I'm sure this is a vid that would get a TON Of views and comments!! but... no offense but ever thoguht of having a contest where your viewers will design some shirts for you? Great idea Kandee! You have so many fans who I think will be so happy to show their love walking around in the Kandee outfits! That's cool.I like the T and I'll check your shop.Congrats! Fun! Love your new online store! My favorite is the inspirational bumper sticker. I'll have to pick one up soon so I can put on my car and brighten up other people's days! Thanks Kandee. You're the best! Kandee!!! Do your thing!!! WE DO LOVE YOU. You are genuine, funny and bright. If people are asking for T-shirts give em T-shirts. You are a celebrity in my eyes. I am "celebrating" you for pushing through the hard times and not giving up on your dreams.You are an inspiration!! I wish you all the best for the holidays...and..please, keep bringing the beauty and the light. Any chance your going to go back to putting up videos on how to do different makeup looks? I know alot of people that will start frequenting your blog again when that happens. Have a Merry Christmas. hey kandee :) i wanna get a mug, and i was just wondering if theres gonna be a discount code? :p its kay if there isnt , im defo buying one anyways! Hy there again. I forgot to ask something. Did anyone suggested that you do a Frida Kahlo look? I love her, I just think she was amazing as an artist and as a woman and even thou she had very big eyebrows and even a small mustache her style was great! I saw almost all of your videos and I follow your blog everyday, you just make me fell so joyful! Hope you'll do the Frida look! I was just thinking about you today and was wondering how you were feeling and if the personal things in your life had calmed somewhat if the storms were still brewing? I too am going through some of the most difficult times in my life. I know your post today did not talk about that but I just wanted you to know you are on my mind and in my prayers. Have fun with the store. It's great to have such fun things to keep you busy and your mind occupied. God has a wonderful way of blessing us and keeping lifesavers around us as we bob in and out of deep water. I thought of you when I hear music from an artist that was new to me. Check her out if you have time on youtube. Her name is Lanae Hale and she has a song called Back and Forth. I think you could really relate to it. It's amazing. Her music and lyrics are so unbelievable. I was able to see her at a local church here in Missouri last Friday and she was even FAR superior in person than even on her album. I do however enjoy the more acoustic versions of most music. Her voice is just so amazing that having music going at all is pretty unnecessary. Anyhow, did not mean to sidetrack. I just relate alot to you as so many of us do. We love that you share so much of yourself with us. I pray God continues to strengthen you in your daily walk. Great idea with the logowear. You have built such a great network and loyal friends, success is inevitable. Doofie has nothing better to do with there life than to leave multiple messages a day of pure ignorance envy and unasked advice. You are blessed and loved by God so all the love from friends is cherry on top of the cake. Thank you for pouring hope, love and encouragement into so many lives. Keep up the great work girlie! Be blessed. E ven when the times are hard. F ierce winds are bound to blow. G od is forever able. I magine life without His love. J oy would cease to be. M ove out of "Camp Complaining". Q uit worrying about the future. R edeem the time at hand. S tart every day with worship. V ictorious in the sky. Z ion waits in glory...where no one is ever sad! The one who kneels to the Lord can stand up to anything..
What a lovely idea, Kandee! Oh, I'm so glad I can finally post a coment in here! Blogger has been kind of odd these days. All your products are really cute and I wish you all the best with your new store. A pity I'm in Brazil, though, so shipping would be too expensive...Best wishes and hugs from Brazil. I rarely comment, but i had to let you know this! My very favorite item is the mug with your photo and quote on it! It's on my Christmas wish list. 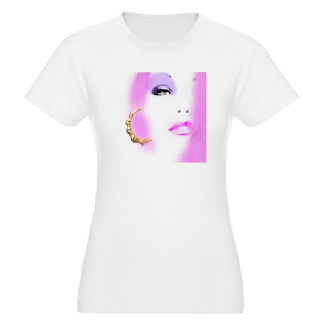 I also posted a link to your store on my Twitter for all of my friends. Doofie_7 is not very nice. Don't let that meanie get you down, Kandee!!! 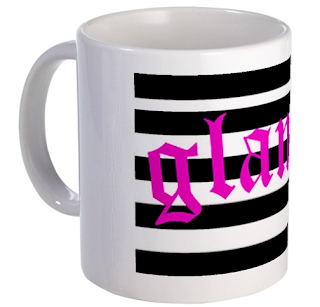 You are awesome and I am so jonesing for a "GLAM" mug right now!!!! I <3 you - you are a huge inspiration and seem like so much fun!!!! YOU ROCK!!!! !